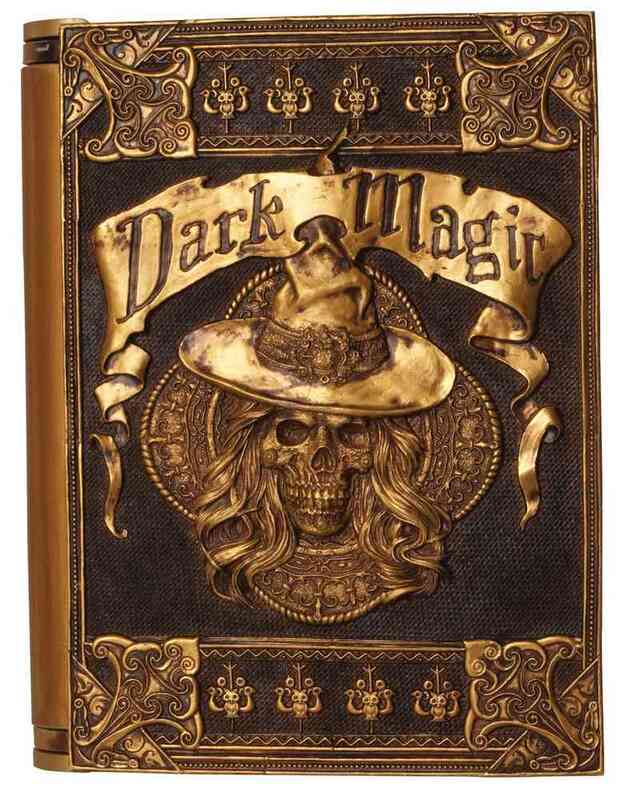 See What trouble you can cast with this Book of Dark Magic! 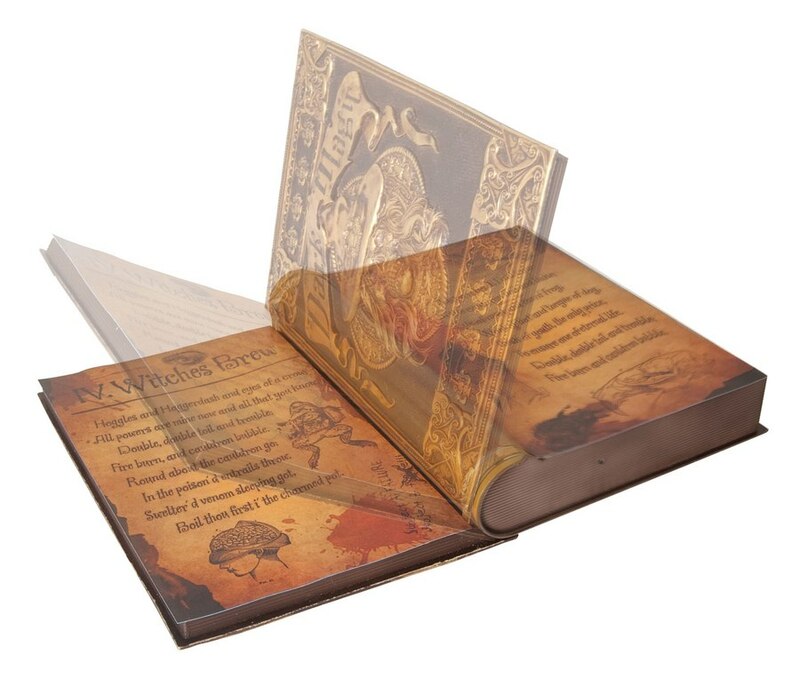 , This mystical book has a motion/sound sensor that when activated will slowly open the book, illuminate the dark incantations from within, while a witchy voice says one of three sayings with each activation of the sensor. 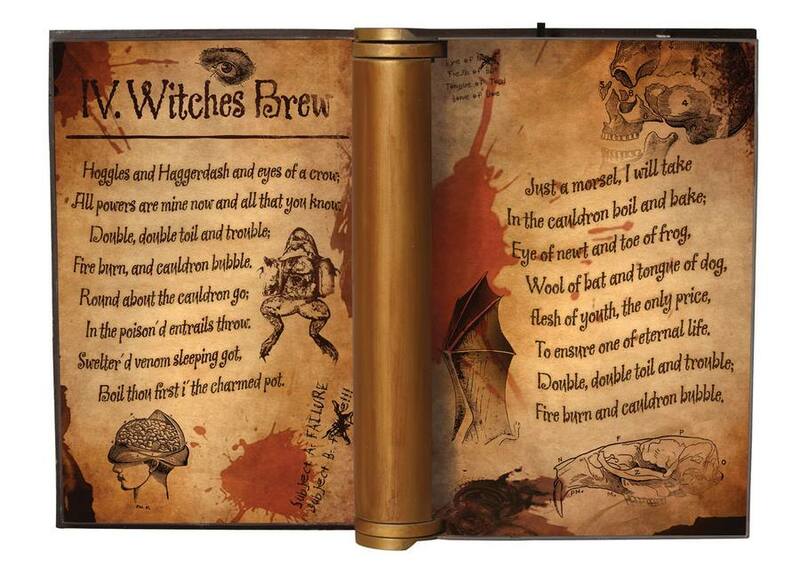 ''Double, double, toil and trouble, fire burn and cauldron bubble! '', ''Round about the cauldron go, in the poisoned entrails throw! Sweltered venom, sleeping got, boil though first in the charmed pot! Ah-ha-ha-ha-ha-ha-ha! '', '' Ah, I see my next ingredient has arrived! With you, my spell no longer deprived! Just a morsel I will take, in the cauldron boil and bake, your youth and flesh, the only price - to ensure me of eternal life! Ah-hah-ha-ha-ha-ha! '', ''Ha-ha-ha-ha-ha-ha-hah! Another foolish child dares to trespass on this wicked place? Here now a spell to remove that smile from your pretty face! and haggerdash, and eyes of a crow - all powers are mine now, and all that you know! Ha-ha-ha! '', then the book slowly closes and lays silent and still until the next activation. The book can be opened manually without damaging the motor mechanism. Book measures approximately 11inx9inx3in (closed) and 11inx17inx3in (open). Requires 3 AA Batteries (not included).